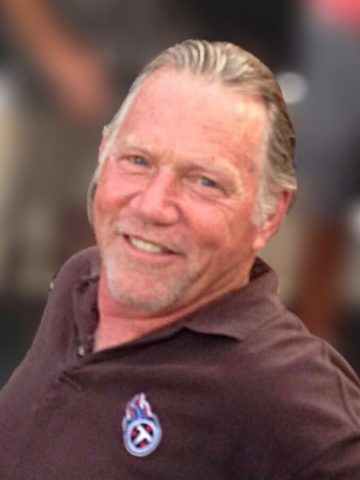 Marshall Allen Edwards (age 70), graduate of Goodlettsville High School, class of 1966 passed peacefully at his home on July 25, 2018. He is preceded in death by his parents Daniel Edwards (Saundra) and Mary Primm. He is survived by his wife Susan Sheppard Edwards and 4 children: Marshall Jr. (Teresa), Monée (Jacquire), Matthew (Meaghan), and Merry (Dave). He leaves behind 8 grandchildren and 4 great-grandchildren: He is survived by 3 sisters: Dianne, Linda (Bo), and Lisa (Richard). Marshall was a master electrician, and retired from TVA to pursue a fulltimejob as “PaPa.” He was a multi-sport athlete and an avid fan of the Vols, Titans, and Predators. He loved all genres of music and was known for his animated story telling. His smile, laughter, and friendliness would take over a room. He had a tremendous heart and was always willing to help others in time of need. He was a spiritual man who loved and was loved by many. VFL Visitation will be Friday, July 27th, 2018 at Cole and Garrett in Goodlettsville from 2pm - 8pm. Saturday visitation is at Connell Memorial Methodist Church from 12pm - 2pm with a Celebration of Life at 2pm, to follow with burial at Forest Lawn. Our thoughts and prayers are with you and your family. May God bless each one of you. Dear Susan and Family, I don’t know where to begin, Marshall was like a ray of sunshine to us, always with a smile and a big hug. Always interested in our lives and all our relatives. He will be missed so very much. I hold you in my heart dear Susan. and my prayers for all of you. Susan and Family, Smitty and I are both just heartbroken. What a great guy and friend who will be greatly missed. Our love and prayers go out to all of you. See you on Saturday. Susan, I was heartbroken to hear about Marshall. You two had a love & relationship that many desire but very few find. My thoughts & prayers are with you & your family. Susan, words can not express how sorry I am for the loss of your dear husband and friend. I know he will be missed deeply. Love and prayers for you during this time. Love you. Dear Susan, I am consumed with grief by Marshall’s passing. I love you so much . Stay strong. Susan, Marshall was a special man in everyway, the wonderful smile and his handsome face and the blonde hair and you were his sole mate and the love of his life, let the prayers and memories comfort you at this difficult time and mend your broken heart. I will not be at the visitation and funeral I am sick and really sad that I cannot attend, you and Marshall had wonderful families and great friends and loved by everyone who knew you. May god be with you,beautiful sweet Susan. Susan, James and I are truly sorry for the loss of your Husband. You have our deepest sympathy and you and family are in our prayers. Love, Patsy and James Scott. Susan, so sorry to hear about your loss-my heart goes out to you and your family. Thinking about you as you go through the service- Barbara (Bob) Garrett. Susan and family, I was so sorry to hear of your loss of Marshall! Each of you remain in my thoughts and prayers during this difficult time! May God grant you comfort and peace in the days and weeks to come!